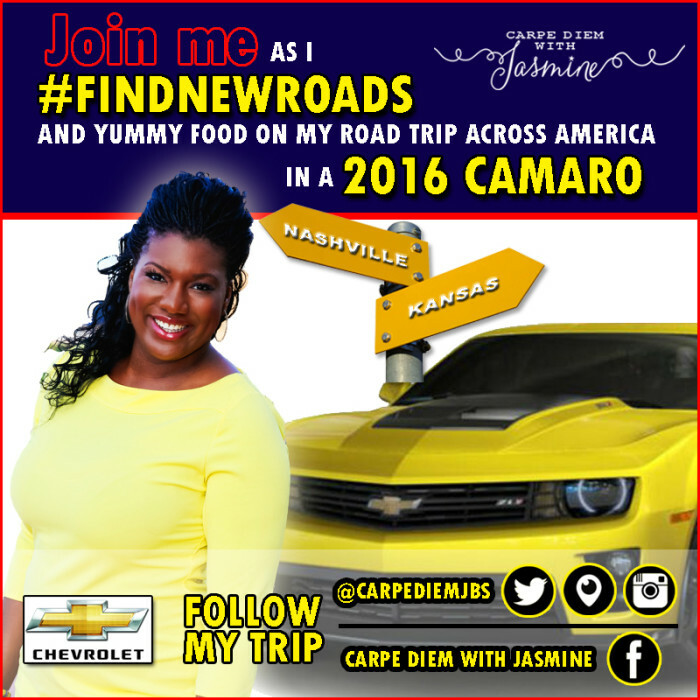 I was invited to take a road trip in a 2016 Chevrolet Camaro as a part of Chevrolet’s Find New Roads Trip Tour. 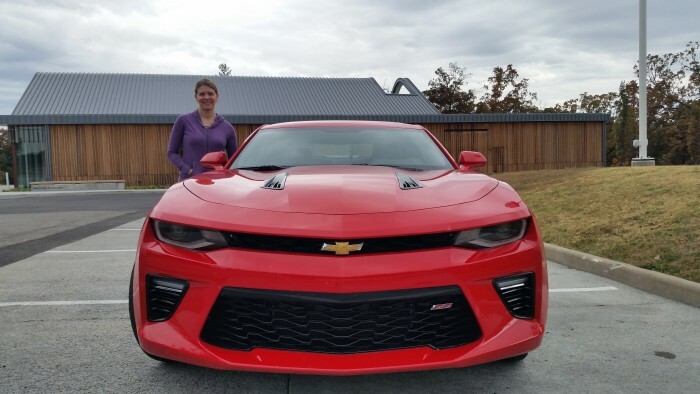 My road trip buddy, Sara Jensen and I journeyed to #FindNewRoads in a Red Six Generation Chevrolet Camaro SS by traveling over 1,000 miles, visiting seven states, discovering new sites, talking to a lot of strangers and eating some amazing food. 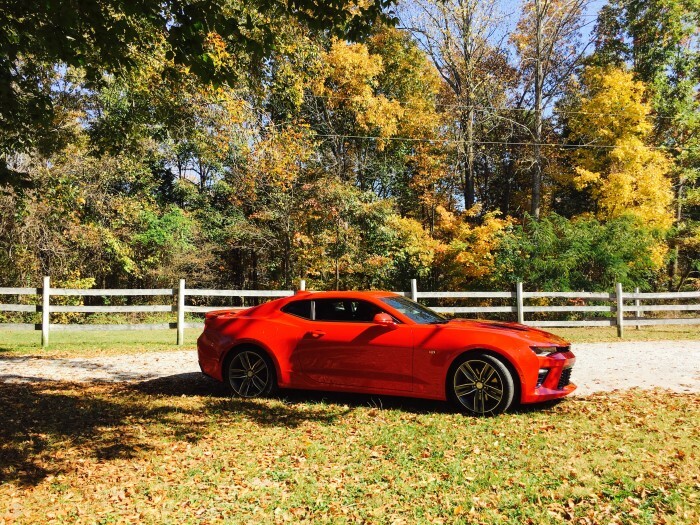 Here are my top 5 favorite things about the 2016 Chevy Camaro. The Gen Six Camaro has AMAZING power and pick up. The Camaro can go from 0 to 60 mph in 4 seconds. You can feel and hear (when driving with the windows down) the power of the car. However, despite being between 223 and 390 pounds lighter than previous generations/models the car is still very solid. We didn’t calculate miles per gallon, but we were able to travel over 450 miles on a full tank of gas. I found the Camaro to be agile, easy to maneuver and it handles the road and curves very well. Transitioning from lanes and U-turns were not difficult movements to make. The double-pivot MacPherson Strut front suspension and five-link rear suspension systems provide more precise feelings of control and responsiveness. 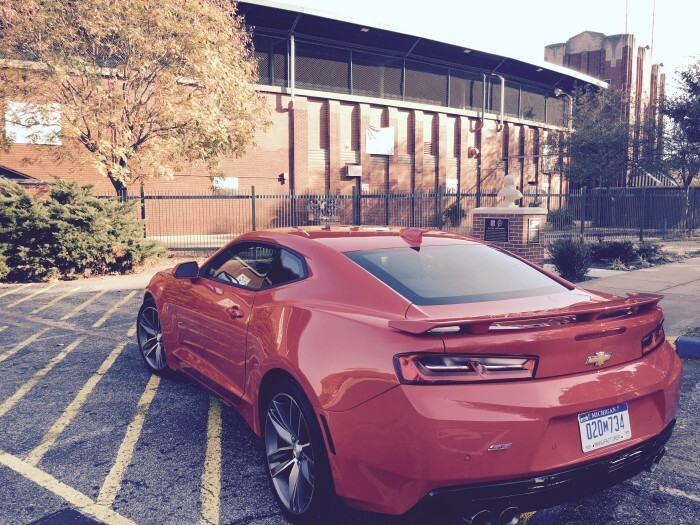 The Camaro we drove included features like OnStar, Apple CarPlay, Android Auto and 4GLTE and Heads Up Display. 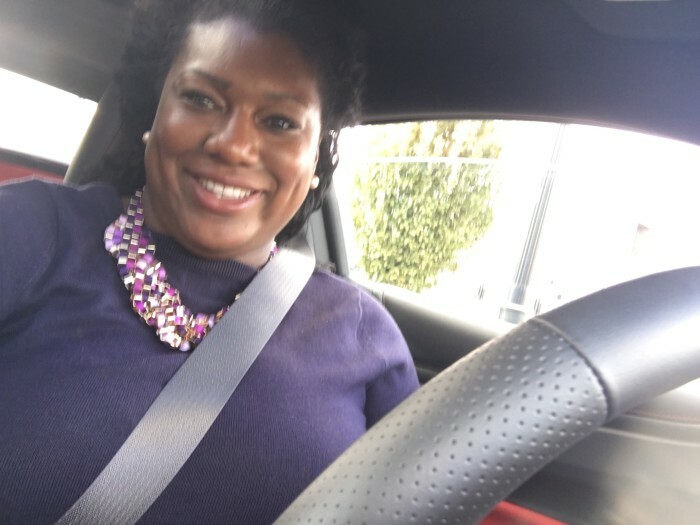 I’ve used OnStar for assistance with directions and emergency services in Roger’s car but they’ve recently introduced OnStar AtYourService, and we used it to make hotel reservations on our journey to #FindNewRoads. 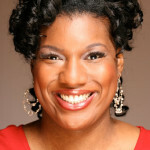 OnStar AtYourService can also be used to make dinner reservations and to receive discounts from a variety of retailers. Apple CarPlay and Android Auto allow drivers to sync mobile devices on Apple or Android operating systems and access to maps, messages, phone music and third party apps. WiFi service is also available through the Camaro’s built-in-WiFi hotspot that allows up to 7 mobile devices like tablets, phones, and computers to access 4G LTE internet speeds. This was my frist time driving a car with Head-Up Display, and this was one of my top favorite features. Head-Up Display projects vital information like your speed, turn-by-turn navigation, on the windshield directly within your field of vision. Not only is this a super convenient feature but it’s also a great safety feature because the display keeps you informed while your eyes are safely on the road. I wasn’t sure how my body was going to respond and feel after a road trip in a two-seater coupe but after traveling over 1,000 miles in 24 hours I felt great. 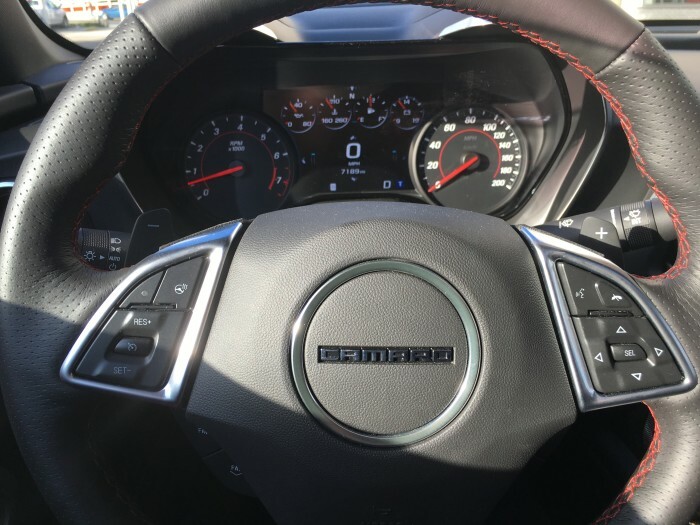 The front seat seats of the 2016 Camaro SS offer 42.6 inches of legroom and 36.6 inches of headroom. I found having temperature and fan speed control rings located around the air vents to be lot easier to use especially when driving. And doesn’t love a heated steering wheel, heated seats and cooling seats. 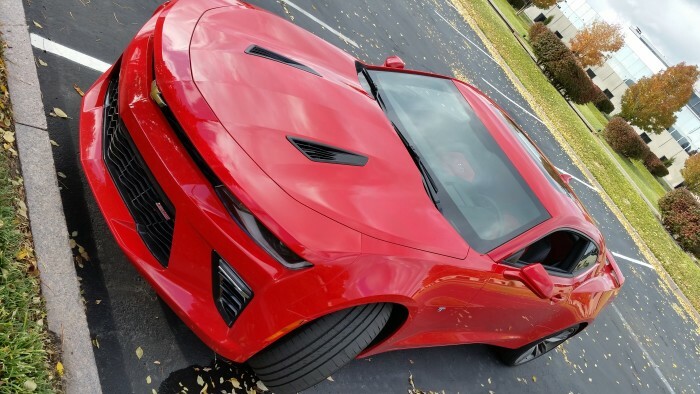 If you’re in the market for a great piece of automotive machinery and you want to spice it up a little, I highly recommend the 2016 Chevrolet Camaro. It’s a unique car that provides owners the ability to tailor the vehicle to their personal wants without sacrificing performance or efficiency. The Find New Roads tour may be coming to a city near you and you can see the 2016 Camaro up close and in-person. I would love to hear your Camaro or “muscle car” story please share them in the comment section below. Wow… I feel encouraged to do a road trip just based on the car comfort you describe. Thanks for sharing. 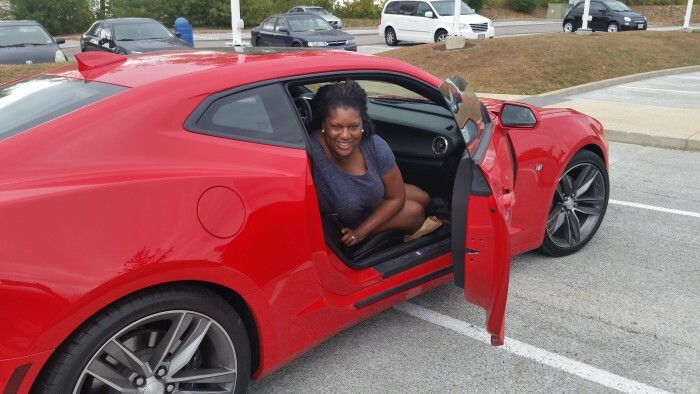 The first car my wife and I purchased together was a Camaro. We’re glad cars can’t talk.